VIP Team To Do List is a professional time and task management software for small and midsize business. It lets users create and manage team to-do lists, publish them on Web or send tasks to team members by email. It's an organizer, planner, notepad and reminder combined in one powerful application. Use our software to deal with and organize, prioritize and track tasks, manage projects, workflow and events, plan your team work for days, months and years ahead. VIP Team To Do List 2.9.64 is a shareware program and can be used as a demo to try the software until the free trial period has ended. A full version of the program is available after the trial period ends. For security reasons, you should also check out the VIP Team To Do List download at LO4D.com which includes virus and malware tests. Additional screenshots of this application download may be available, too. Featuring the very best in free organizer software downloads. Editing staff adds reviews and free download links and constantly updates software. 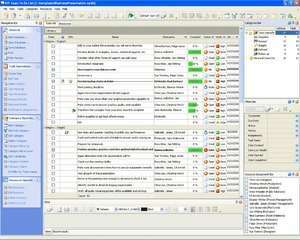 Check out some of the freeware downloads available in the organizer software category. They contain no strings and are available at zero cost. 3.8 out of 5 based on 7 ratings.